Toy of the Year 2019 : L.O.L. Surprise Under Wraps! If you have a little princess in your home, then you’ve probably been requested to get them one of these L.O.L Surprise toys. What is it? These collectable toys take advantage of the unboxing element that kids tend to like, but also with the many elements in each package! It is a never ending “new thing” for the kids, much like watching unboxing videos of handbags for the ladies, or the unpacking of gadgets for the gents! 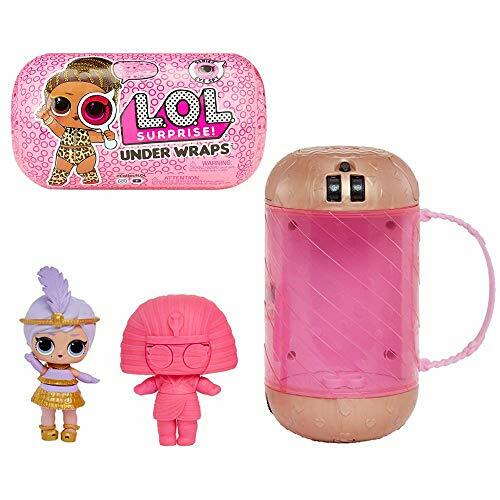 Unfortunately for us parents, these toys are rather expensive, but we’ve noticed that the 2019 Toy of the Year winner, the L.O.L Surprise Under Wraps Doll Series Eye Spy 1A and Series Eye Spy 2A are on sale now on Amazon! Save more than than half the cost of the price we find here locally, and also never worry about expensive shipping with us!